Balanced Vegetarian is a new line of vegetarian Indian entrees from Tandoor Chef now available in supermarket freezer cases. 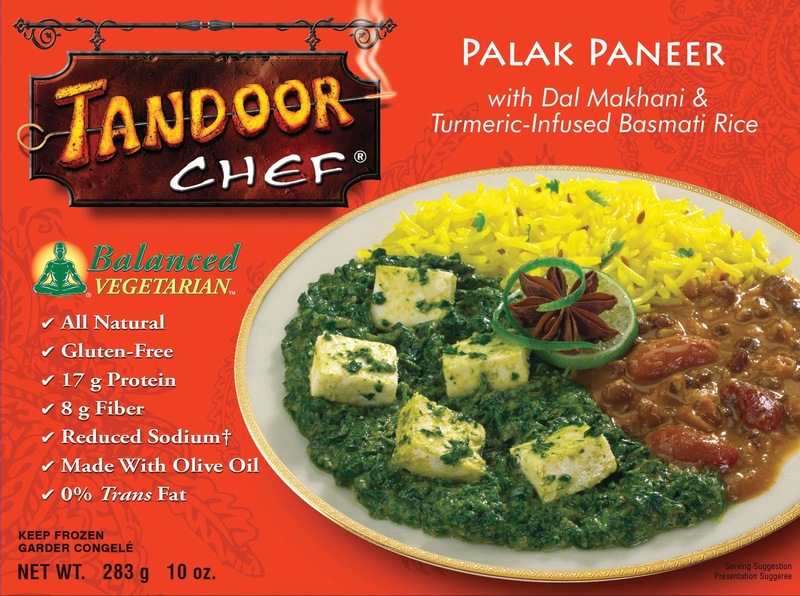 The vegetarian Indian meals were created “to provide vegetarian consumers with smarter and healthier at-home dining options,” say officials with Tandoor Chef, a brand manufactured and marketed by Deep Foods, Union, N.J.
Tandoor Chef Balanced Vegetarian line. ﻿ Balanced Vegetarian offers complete Indian meals with lower sodium, higher protein and fiber, and no trans fats, says the company. All five of the Balanced Vegetarian Meals are made with olive oil and select dishes are also vegan and gluten-free. Each item sells for $3.99. The five Balanced Vegetarian meals are: Kofta Curry with Channa Masala & Spinach Basmati Pilaf, Mutter Paneer with Dal Palak & Cumin-Infused Basmati Rice, Palak Paneer with Dal Makhani & Tumeric-Infused Basmati Rice, Paneer Tikka Musala with Rajma Dal & Onion Basmati Rice, and Vegetable Korma with Dal Rajasthani & Cumin-Infused Basmati Rice. Each dish offers multiple nutrients that are particularly beneficial for those following a meatless diet. “Vegetarian consumers make up a large percentage of both the Indian and American population, yet truly healthy vegetarian dining options remain limited—especially when it comes to eating at home,” says Mike Ryan, vice president of sales and marketing, Tandoor Chef. TFFG SAYS: Tandoor Chef has indeed struck a balance here, as these Indian entrees are flavorful—encapsulating the spices of Indian that identify a dish as “Indian”—but not overly spicy or pungent, which could easily put off the less “spice aware” American consumer.